Do your emails are getting blocked by the customers? Do you want to know what are the biggest mistakes done by your email marketer, designers and content developers that create hindrance in reaching out your customers? Have a look at the most common email myths that creates an obstacle in the email campaigning. One of the most important and serious issue the email marketers are facing today is what should be the frequency of sending the emails to the subscriber. 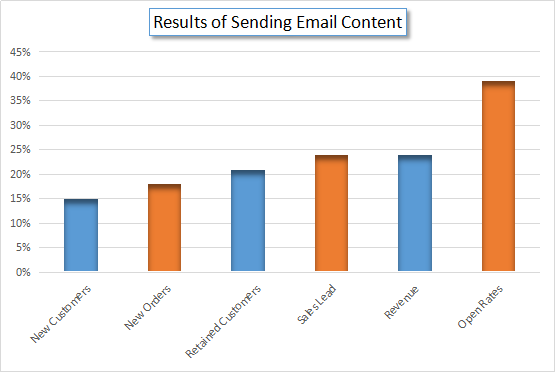 By sending a number of emails, you make the customer’s inbox flow with your company’s emails. It makes the customer angry and aggressive. In an angry mood, the customer may block all the emails coming from your brand or make them delivered into the spam folder. Getting an email delivered in the spam folder can be considered as no email because no user goes into the spam folder and check-out the emails that are being over there. On the other side, if you send less number of emails, then your brand will take time in getting popularity which you can’t wait. Hence, after due thinking and knowing the market scenario, carefully send the emails and make due notice of the numbers the email have been sent. In a survey report, it was noticed that only 25 % of the emails are getting open on an average. Rest all, can be consider to be get fallen into the spam category or might not get opened. For grabbing the attention of customer, make use of the same email with different subject line and make sure you didn’t send the email to the users who didn’t have open your single email. Give a gap duration of 72 hours between the first and second email. Time is more important than money in today’s life and the urban people life is too hectic and stressful. Therefore, if you compose a long email, then 80 % probability is it is not going to give you any lead as the people have no longer so much time to read the entire email. But, on the opposite, if you create a short and to-the-point content, with all the valuable information placed in it, then the chances of getting the lead is maximum. Before sending any email put the focus on the number of characters used in the subject line. The length of subject line should not be greater than 25 characters. Short and simple content always allures the users. In the earlier times when there were no smartphones, the emails were opened only on the desktop and PC. For the desktop, 600 pixels was the standard size of the emails. But, nowadays 90 % of the emails are being opened on the smartphone and every phone has a different screen size. Hence, the resolution is also getting differ. With the leverage of media queries, the width issue of the email can be changed according to the size of the mobile screens. There are around 800 web fonts that can be used by the email designers. All the big platforms such as Apple Mail, Google Android, OS X and Outlook 2016 support distinct web fonts. Make sure that your designers use only licensed fonts as they can be easily embedded in the email newsletter. There are a few words such as “Extra, Save, Free of cost, Discount” that marks your email to be considered as a spam by the email delivery system. Avoid using these words in the email. Nowadays, the email delivery system is being more sophisticated and advanced. If you are having a poor image of your brand in the eyes of the audience, then there are maximum chances that your email will fall into the spam folder. It is very much essential to have a responsive email design for your email. At present, almost 90 % of the emails are being optimized on the mobile devices. Therefore, if you send a non-responsive email to the users, then there is 60 % probability that the email will be left as unread by the subscriber, as the customers will not be able to read the content that is written inside the email.